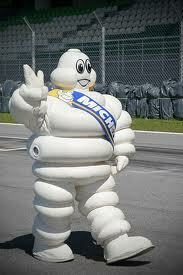 March 28, 2013 - Michelin has been selected as the official tire supplier for the FIA Formula E series. Michelin has been selected to become the FIA Formula E Championship’s official tire partner for the three years to come, up to 2015. Following the tender process instigated by the FIA (Federation International de l’Automobile), the French brand’s bid was chosen by the motorsport’s governing body for its savoir-faire in three different areas, namely its technical expertise, its marketing plan and its involvement in mobility promotion programmes. It should be noted that the Michelin group has been active in the promotion and development of mobility ever since the company was founded. In 1998, it organised the first global event dedicated to the showcasing of new mobility-related technologies, the MICHELIN CHALLENGE BIBENDUM. The Fédération Internationale de l’Automobile (FIA) announces Michelin as the official tyre supplier for FIA Formula E Championship. The FIA Formula E Championship is a new motor sport series promoted by Formula E Holdings Ltd and will bring electric racing to city centres around the world in 2014. The aim is to develop a World Championship designed to promote interest and investment in electric vehicles and sustainable motoring. An open championship, the FIA Formula E Championship gives car manufacturers the opportunity to showcase their electrical energy innovations in a racing environment, designing cars to the technical specifications set out by the FIA. Teams representing Britain (Drayson Racing) and China (China Racing) have become the first candidates for what will be a 10-team and 20-driver grid for the first Formula E season. The debut season will see a race street circuit calendar with events so far confirmed in London, Rome, Miami, Los Angeles, Putrajaya, Beijing, Buenos Aires, and Rio de Janeiro. Expressions of interest were received from 23 host cities keen to play a role in the future of motorsport. Final ratification of the 2014 FIA Formula E Championship calendar will take place at the September meeting of the World Motor Sport Council. FIA President Jean Todt said: "I am delighted to welcome Michelin to Formula E, an innovative new motor sport concept which will highlight the commitment of all participants to what will be an exciting racing championship delivered to the public in city centres with particular attention devoted to sustainable and environmentally friendly solutions. Michelin have a long and relevant history of performance allied with technical invention and are therefore ideal partners for Formula E."
Florent Menegaux, Director of the Automobile Tyre Product Line of the Michelin Group said: "The Michelin Group is very honoured to have been accepted by the FIA for the new FIA Formula E Championship. We are constantly seeking to introduce innovations into our tyres, in order to assure a more efficient and durable mobility. Competition is a formidable testing ground in which to experiment and develop future technologies. The FIA Formula E Championship, which focuses on new forms of energy and will take place in an urban setting, will give us the opportunity to apply the very best of our technological know-how."